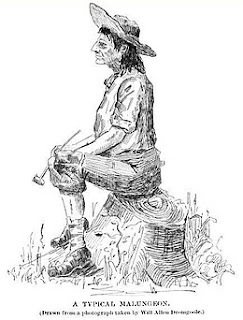 This sketch of Calloway Collins, grandson of "A FULL-BLOODED CHEROKEE" accompanied the article by Will Allen Dromgoole on her trip to Newmans Ridge. See scan below. 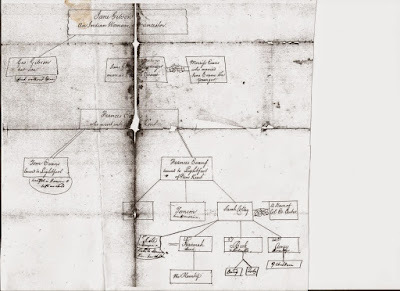 This sketch is found in Wikipedia article on the Melungeons. Who sketched this and who added it to Wikepedia. Where did this sketch come from? There is more that a 'subtle' difference in these two sketches. Why does the second one say it is a 'typical Melungeon' it looks nothing like Calloway Collins? It says it was "Drawn from a photograph taken by Will Allen Dromgoole" but the above is the sketch made by the artist that accompanied Ms Dromgoole to Newmans Ridge. Why does the 'Typical Melungeon" appear August 31st in Nashville newpspaper and 'Calloway Collins' whose grandfather was full blood Cherokee appear in the Oregon newpspaper two weeks later? 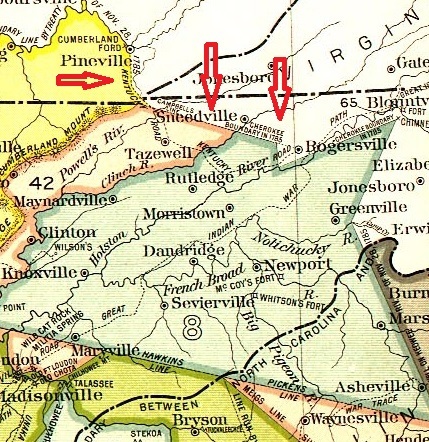 The Cherokee Boundary of 1785 went through Sneedville as did the Kentucky Road [Wilderness Trail] as the map below shows. John Reed Swanton's Indians of the Southeastern United StatesBulletin 137 of the Bureau of American Ethnology,Smithsonian Institution, 1946. It is interesting though that the "Emassees and Malunjins show up together in Dothan, Alabama. On November 6, 1837, the Hawkins County Land Platt Book records the survey for James Livesay of 500 acres of land on an "Indian village on the waters of Painter [Panther Creek] on the north side of Clinch River." Where the village of Sneedville is situated was once an Indian town. There are any quantity of flints half finished, scattered about over a wide extent in and around the village, showing that this was a place where they manufactured darts for their arrows, with which they killed their game. Many battle-axes, tomahawks, pestles, and remnants of Instruments and vessels of pottery used by the aborigines have been picked up in years gone by, so that now they are seldom found. Within a quarter of a mile of the court-house there is still visible a round-shaped knoll which may be a mound. It was once much sharper than it now is, so sharp that cattle never resorted to it for rest. It has been ploughed over and cultivated; and is now very much flattened.. I have seen many mounds, and am inclined to express it as my opinion that this - is a regular mound. 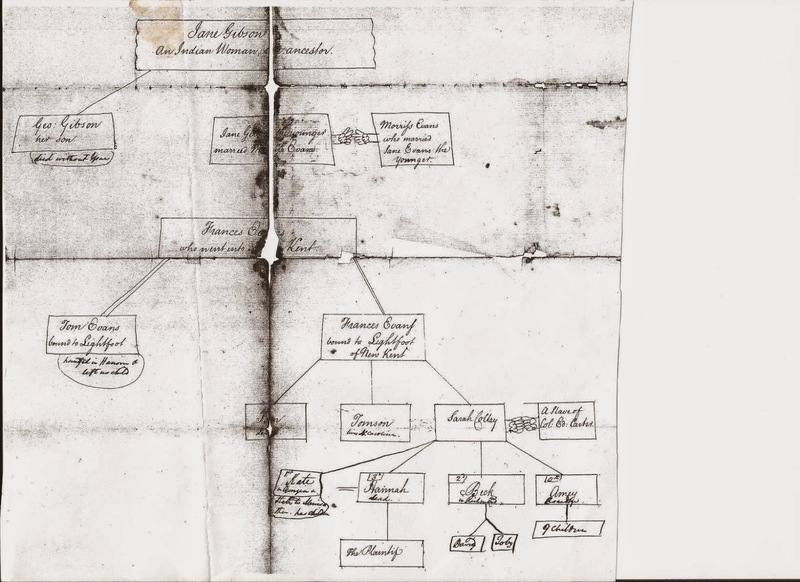 Right here, allow me to say that I am in correspondence with the officers of the Smithsonian Institute, Washington, D. C, who request me to collect all evidences of these singular formations, and transmit information and specimens to them. which I am doing, and respectfully request those who have any Indian battle-axes, tomahawks, arrow heads pottery, or other implements or trinkets once in posession of the Indians who formerly roamed over this country as "lords of creation," to send them to me at Morristown.